Choose a spot that you can reach with your hose and gets at least six hours of sun a day. Sketch a plan, taking into account how large everything will be when fully grown—don’t jam the plants too close together—or follow our layout for a 4- by 8-foot bed, below. Then go buy your seedlings and enough bagged compost to spread a 6-inch-deep layer—we used 16 cubic feet. When you get home, water the seedlings thoroughly while they’re still in their plastic containers. 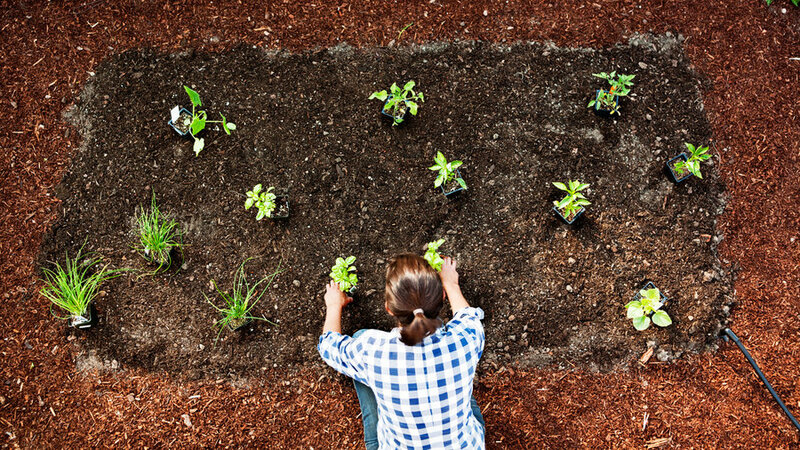 Then spread compost over your entire planting bed. 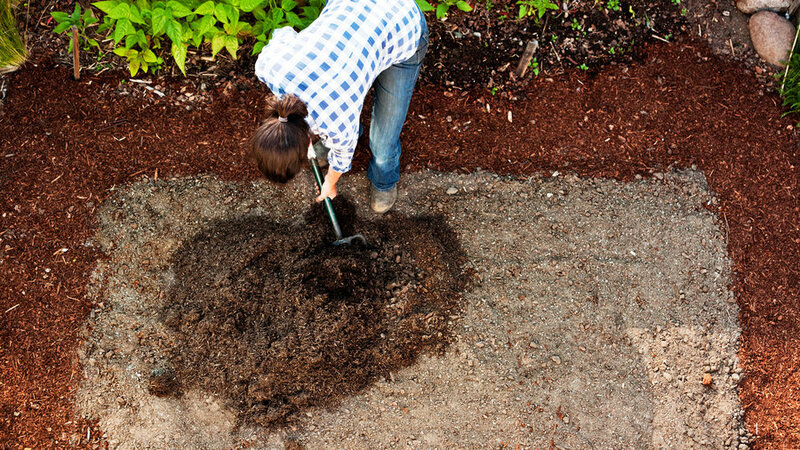 Mix it in with a digging fork, removing any rocks, and rake the area flat—this will help water soak in evenly. Now break for a long lunch. After the heat of the day has passed, set out the seedlings according to your plan. Tip plants out from their pots and gently loosen any matted roots with your fingers, then plant each seedling so that the top of its rootball is level with the soil. 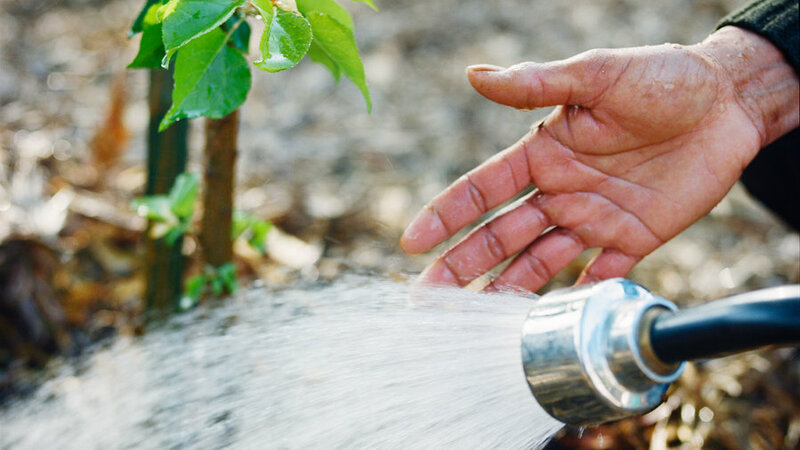 Water your new garden well, even though it’s late afternoon (usually, you’ll want to water it in early morning). 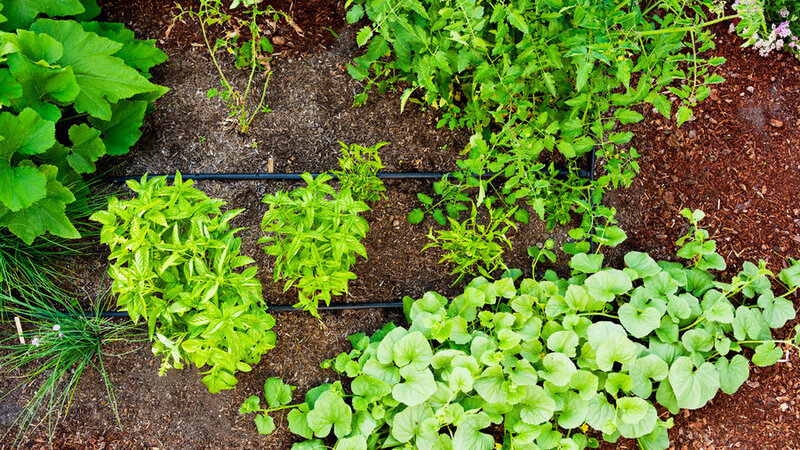 Things will really take off when the weather gets even warmer—in about six to eight weeks, your garden should start looking like the one pictured. You want the soil to feel moist but not soggy. For the first few weeks, this could mean daily watering or more, depending on the weather. Then, if it’s not unusually hot, you can probably taper off to every second or third day; just don’t let the soil dry out. Also, pinch off basil flower buds as they appear. In general, pick each vegetable when it looks like it does at the market. 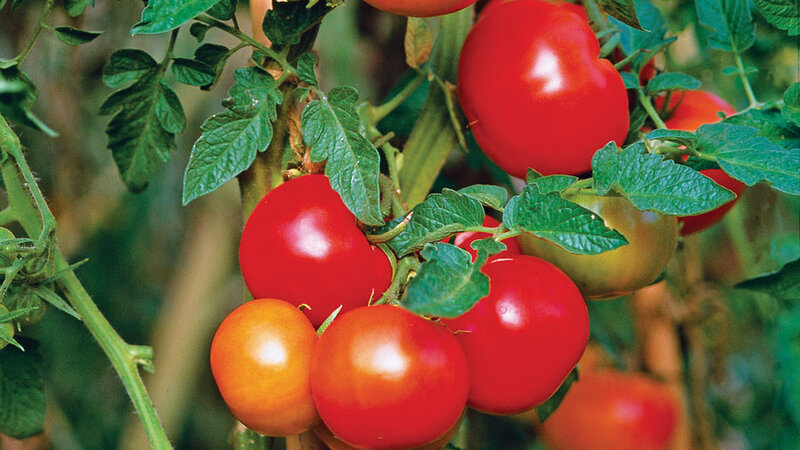 Wait until tomatoes reach their full color. Pick cucumbers even if you aren’t going to use them—it keeps the plants producing.